Edinburgh Council has earmarked several areas as having an overprovision of licensed premises. 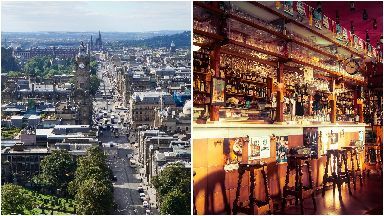 Edinburgh Council is set to crackdown on new pubs in an effort to address alcohol-related crime and health problems in the city. Large parts of Scotland's capital have been assessed as having an overprovision of licensed premises. Following an effective ban on new bars in Cowgate and Grassmarket, other areas which have now been identified as providing enough opportunities to buy alcohol include the Old Town, Princes Street, Leith Street, Tollcross, Deans Village - which includes the West End and Haymarket, Southside, Canongate and Dumbiedykes. As a result of the Assessment of Overprovision, a presumption will be made against the granting of new premises licences, provisional premises licences and major variations to increase capacity of premises within the designated areas. Each application will be determined on its own merits and applicants can present evidence to rebut the presumption against approval. Following the Licensing Board's policy agreement on Monday, board convener, councillor Norman Work said: "Our Assessment of Overprovision takes into account a range of evidence and feedback provided during our in-depth consultation with a variety of organisations, health professionals, trade representatives and other interested parties, including a workshop and two days of public hearings. 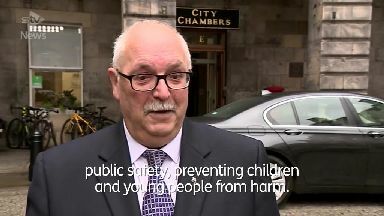 "By extending the areas of overprovision we have demonstrated our commitment to addressing alcohol-related crime and health problems, as part of our responsibility as Edinburgh's licensing authority. "This, alongside the new Statement of Licensing Policy, which has been updated to reflect issues arising since the last review in 2013, will help us to ensure the safety and wellbeing of the public, while also maintaining Edinburgh's rich and varied entertainment scene." Brigid Simmonds, chief executive of the Scottish Beer & Pub Association (SBPA), believes the policy could impede future investment. She said: "The SBPA believes that the policy of overprovision is fundamentally flawed, with no evidence to show that it achieves a reduction in alcohol-related harm, while simultaneously sending a message that the area is closed for business. "It also severely impedes investment and best practice in any area designated as such. "The Edinburgh board should be congratulated, however, for resisting the pressure to designate more areas of the city as overprovided for, as called for by some."